Although details are still being released by the Treasury, George Osborne has announced a surprising 3% additional SDLT payment on second home and buy to let properties from 1 April 2016. The additional tax is expected to raise almost £1 billion by 2021. Some of that money is to be reinvested to fund additional house building across the UK, such as local communities in London and places like Cornwall which are being priced out of home ownership. Estates regenerated. They’re releasing public land suitable for 160,000 homes and re-designating unused commercial land for starter homes. They’ll extend loans for small builders, regenerate more run-down estates and invest over £300 million in delivering at Ebbsfleet the first garden city in nearly a century. Right to Buy rolled-out. They will extend the Right to Buy to housing association tenants. This starts with a new pilot and tenants of 5 housing associations will be able to start the process of buying their own home. The SDLT surcharge will lift each band by 3%. That means for example, that for properties worth between £125,000 and £250,000, where the stamp duty is 2%, buy-to-let landlords will pay 5%. The increase in SDLT will also relate to people purchasing second properties. A buy-to-let purchase of £184,000 will attract an additional SDLT payment of £5,520 from April 2016 so an increase from £1,180 to £6,700. 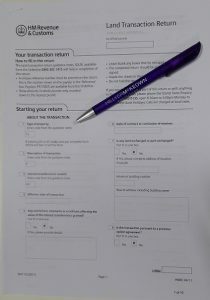 HMRC has confirmed to the SRA that the changes will apply to all completions that take place on or after 1 April 2016, but contracts that have been entered into on or before 26 November 2015 will not be subject to the new rates, subject to normal rules about variation or assignment of these contracts. The higher rates will not apply to some investments, such as purchases of caravans, mobile homes or houseboats. Commercial property investors such as companies and funds, with more than 15 properties, are expected to be exempt from the new charges. Buy-to-let landlords will also be hit by a change to Capital Gains Tax (CGT) rules. From April 2019, they will have to pay any CGT due within 30 days of selling a property, rather than waiting until the end of the tax year. It is thought that this news could cause an initial spike in house prices as investors rush to buy, but the long term impacts are not known. It could result in even larger rent costs as landlords seek to recover the new tax. This is the second disappointment to property investors this year. The summer Budget reduced landlords’ ability to offset mortgage interest costs against rental income. That change will be phased in between 2017 and 2020 and is expected to reduce the yields available on investment properties and make many existing buy-to-lets unprofitable. We are yet to find out further detail regarding the implementation of the changes and the real impact that they will have.